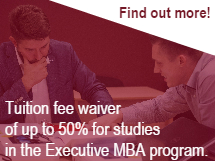 In cooperation with Pearson VUE, RTU Riga Business School offers the Graduate Management Admisison Test (GMAT)exam. The GMAT exam is a standardized assessment that helps business schools assess the qualification of applicants for advanced study in business management. Schools use the test as a predictor of academic performance in an MBA program or in other graduate management programs. The GMAT exam measures basic verbal (English), mathematical, and analytical writing skills that have been developed during education and work. This exam does not measure knowledge of business, job skills, or abilities in any other specific subject area, or subjective qualities - such as motivation, creativity, and interpersonal skills. Exam is delivered in English and lasts for about 4 hours. Exam results will be sent to you from Great Britain 20 days after the test and are valid for 5 years.